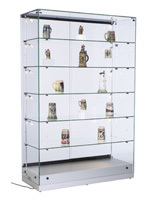 These custom trophy cabinets, display cases that have ten vertical lights adjust to spotlight memorable awards perfectly! 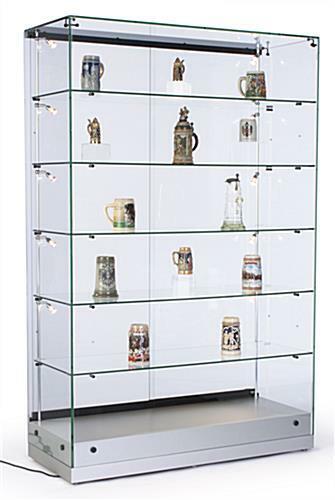 Participation medals, MVP title plaques, engraved achievement figurines and other honorable statuettes can be situated on each shelf to commemorate significant accomplishments, events and experiences! 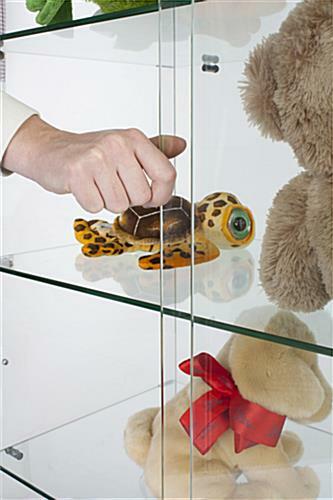 These showcase cabinets, display cases for use in trophy shops or home settings lock with a key to keep exhibited items safe and protected. 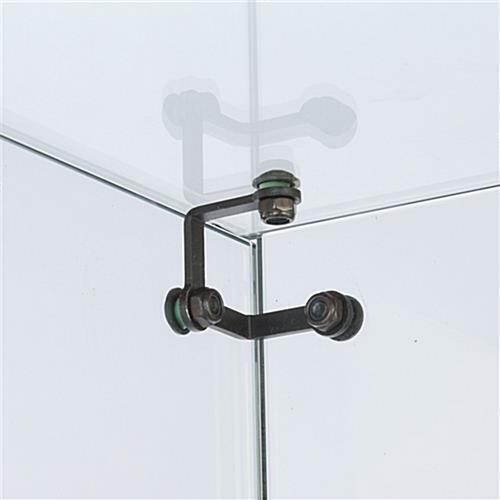 In addition to this security feature, these store fixtures have sliding doors to quickly replace sports figures and other exhibited items! 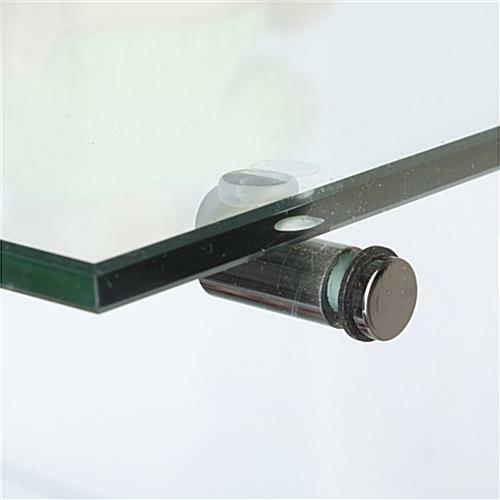 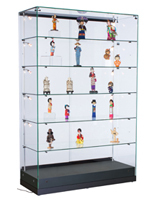 These freestanding glass fixtures, display cases with a frameless tempered glass design ship assembled! 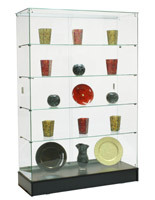 These cabinets can be situated throughout a trophy store, which can create a custom layout design and entice customers to explore the collection of award options available for purchase. 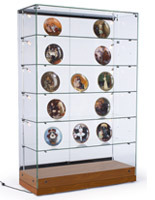 These display cases that showcase valuables are a beneficial investment to any company, and can help to increase sales of those items presented! 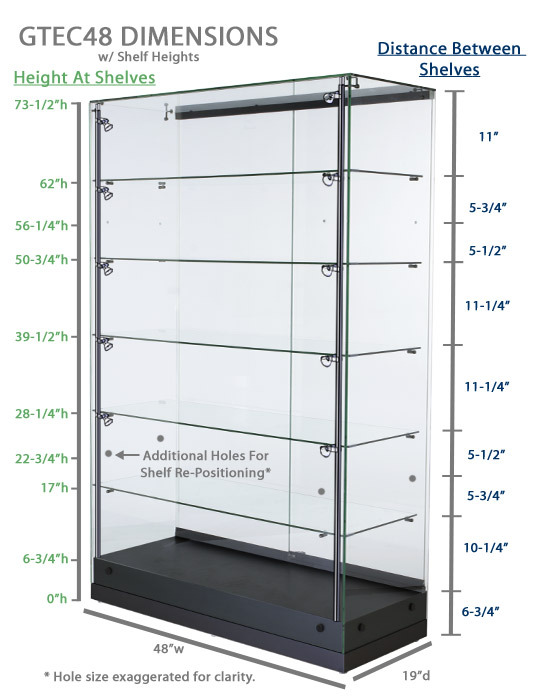 The (5) shelves manually adjust to accommodate larger merchandise or trophy statues, which is another significant feature! 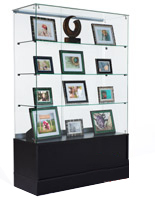 Display cases, like these custom Grace Tyler cabinets, are also used to spotlight an entire product line in a retail store! 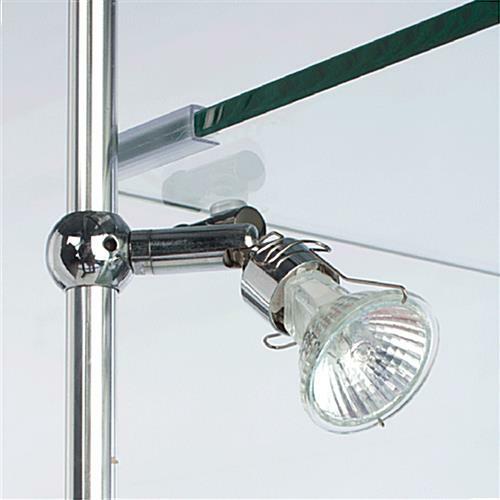 These glass fixtures present a variety of uses and when thoughtfully incorporated into a room, these trophy holders are the best way to show off achievements!